European hot tub and swim spa manufacturer Wellis has launched its 2017 catalogue to promote a growing range of products and innovative new models ahead of its appearance at the 21st anniversary edition of SPATEX. 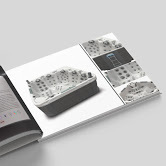 The Voyager Spa, pictured in the new catalogue as one of the manufacturer’s many options that includes the WhatSpa? Best Buy Award-winning Elbrus Deluxe from the HighLine range, is among the latest arrivals off the production line at the booming Wellis factory in Hungary. It is part of the STARLINE range and is being launched as a unique hot tub model for the market as it incorporates five recliner seats in its innovative design. Other new hot tub models, which were promoted to current and prospective Wellis dealers during the recent four-day Piscine Global wet leisure exhibition in Lyon, include the Explorer Spa, with twin loungers located side-by-side in the design; and the Discovery Spa that has one lounger seat and additional seats to accommodate four people; along with the Volcano Spa, which is a stainless steel option. To coincide with the publication of its new 2017 catalogue, Wellis has also just launched a brand new video promotion for its swim spa range. This includes the Rio Grande, which has been designed with a separate seating area that features a lounge seat and seating options for three other people. The three River Jets within the swim spa, which has been showcased during the two West Midlands-based UK exhibitions at SPATEX and the Hot Tub Living Expo this year, have been incorporated by the Wellis design team to provide a consistent and powerful water flow. Now the fledgling swim spa range has also been boosted with the addition of a new Kongo stainless steel model that is also being proclaimed as being unique thanks to its innovative durable design. Its Wellis swim spa counterparts include the Amazonas, Amazonas Power, Danube, and the WhatSwimSpa? Best Buy Award-winning Danube Power, which are also featured in the new catalogue. This year a Fiji, which made its Best Buy debut in the £4,000 to £5,999 price category of WhatSpa? magazine, has been a top-selling hot tub in the UK market and it has also been promoted with ‘Made in Europe’ credentials in British showrooms along with a Myline Spa Mars model from Wellis that has gained its first WhatSpa? Best Buy Award this year. Exclusive Wellis distributor for the UK and Superior Spas Managing Director Rob Carlin will be making his second appearance at SPATEX as an exhibitor to capitalise on booming demand for the European-manufactured products. He is hoping to ensure the current trend of record-breaking sales growth continues in the New Year by increasing his dealer network to also cover Essex, North Yorkshire, and Lincolnshire. “A number of our dealers originally supplied Superior Spas, but have also now taken on Wellis models,” said Rob. Comprehensive product information and details about dealer opportunities in the UK will be available from the Wellis and Superior Spas stands during the three days of SPATEX, running from Tuesday, January 31, to Thursday, February 2, at the Ricoh Arena in Coventry. To book stand space for the exhibition contact the SPATEX team via email: helen@spatex.co.uk or michele@spatex.co.uk or telephone directly on: +44 (0) 1264 358558.